FOR NINE Years, from 2000, I had the great pleasure of serving as a Wimbledon Honorary Steward during the Championships. In fact, I was following in the footsteps of my wife’s father who had been a Steward from 1980 to 1995. 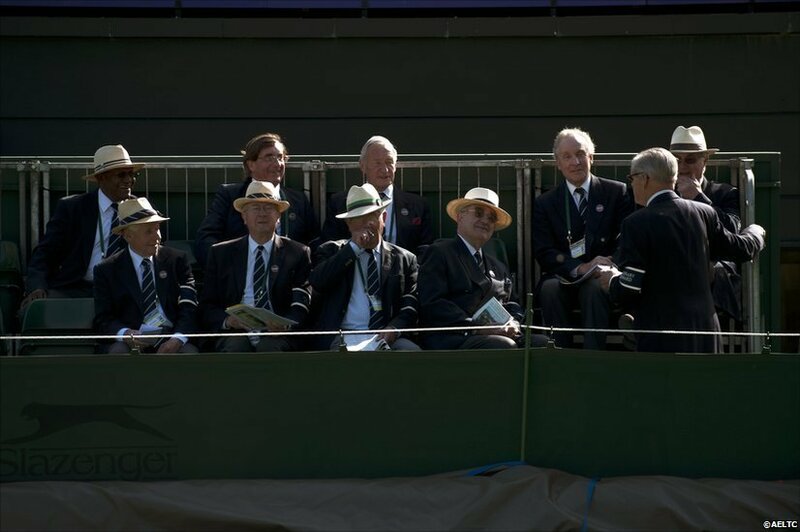 The Stewards (male and female) are the individuals in blue blazers and occasionally panama hats who assist in the queues and in the stands of the courts. It was great fun being one of them and they are a great bunch of people. I would arrive around 7.30 am and help give out the wrist bands for the show courts to the fans who had been queuing all night. Then I would do my duty with the queues at Gate 12 (ticket holders) and then then take up my post after lunch for the tennis on Court No 1. Not a bad way to spend a day – but it was a long day. Then my extended archaeological trips to Crete began to clash with the Championships’ dates so, sadly, I had to resign. So, what about Wimbledon? I’m sure some of you have been watching it avidly. It is the oldest tennis championship in the world and considered by many as the most prestigious. The All England Croquet Club in Worple Road, Wimbledon began life in 1868 and then, in 1876, lawn tennis (a game devised by Major Walter Clopton Wingfield – hence the Wingfield Restaurant in the grounds today) was added to the club activities and the name of the establishment changed to the All England Lawn Tennis and Croquet Club in 1877. A new set of codes were drawn up replacing those set by the Marylebone Cricket Club (MCC). At first the nets were 5 ft in height. They were reduced to 4 ft in 1880, and then reduced again to today’s 3 ft 6 ins in 1882. Engraving of the first Wimbledon Championship at Worple Road. The clubhouse is located on the left (in the distance). Worple Road is on the left and on the right is the track of the London and Southampton Railways. The inaugural Championships opened on 9th July 1877 and the Gentlemen’s Singles was the only event held. The tournament lasted 5 days and the final was to be played on the Monday to avoid the Eton v Harrow annual cricket match at Lords. However, that first year it was delayed even longer due to rain and eventually played on the 19th July and won by a 27 year-old, Spencer Gore, who beat a 28 year-old, William Marshall, 6-1, 6-2, 6-4. Gore was one of 22 starters who all paid a guinea (£1.1.0d) to take part. His prize was a silver cup valued at 25 guineas and presented by The Field sporting magazine . About 200 spectators paid one shilling each to watch the final and the Club made a profit of £10 that day. The courts were arranged so that the principal court was in the middle with all the others situated around it – hence ‘Centre Court’. When the club moved to its present site in Church Road, Wimbledon, in 1922, Centre Court was no longer in the centre but it retained its name. And rightly so. However, in 1980 four courts were opened up to the north of the ground and Centre Court was in the Centre again – until 1997, when No 1 Court was built. But the name wasn’t changing now. By 1882 the club was almost exclusively tennis and so the name croquet was dropped but restored again in 1899 for sentimental reasons. It’s a British ‘thing’ you know. Ladies joined the tournament in 1884 with a win by Maud Watson, and the same year saw the introduction of Gentlemen Doubles. 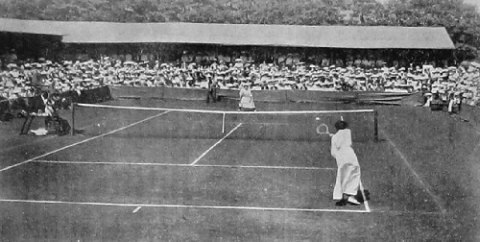 Ladies’ Doubles and Mixed Doubles were added in 1913. 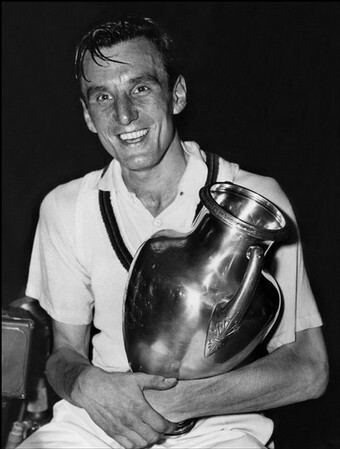 Only amateurs were allowed to participate until 1968 with the introduction of the ‘Open Era’ (and along came the Australians, Rod Laver and John Newcombe – remember them?). 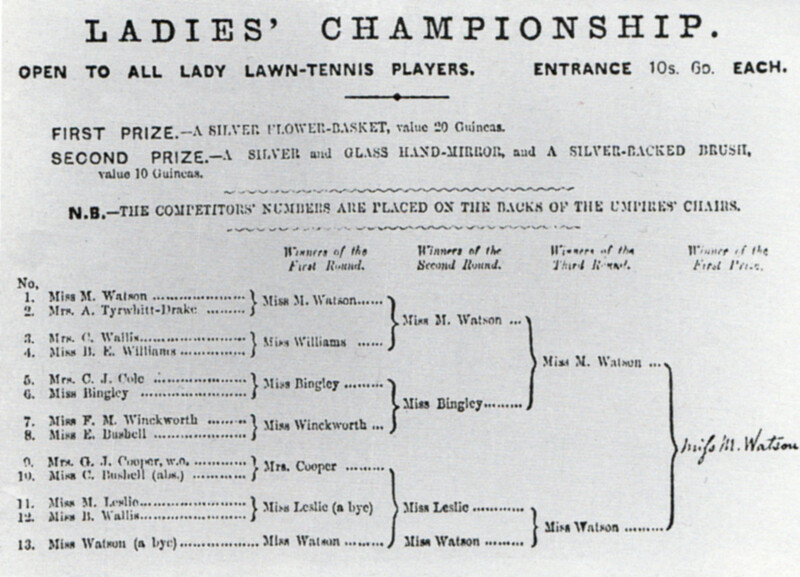 1884 Ladies Championship – Miss Watson beat Miss Watson ….. In the ‘good old early days’ the matches played by British twins, Ernest and William Renshaw, proved to be the most popular and they emerged as outstanding players. They won 13 titles (separately as well as doubles partners) between 1881 and 1889. The era was dubbed as the ‘Renshaw Rush’ (also hence the Renshaw Restaurant in the grounds today). However, the public affection for Wimbledon waned around the early 1890s. Then popularity picked up again in 1897 when the legendary Doherty brothers, Laurie and Reggie, entered the Championships and they ruled the tournament for the following decade. After that British success has been rather limited. The first overseas player to win the Ladies’ tournament was May Sutton from the United States of America in 1905. In 1907, Norman Brookes from Australia was the first overseas winner of the Gentlemen’s tournament. This was the beginning of the end of British dominance. Only Arthur Gore and Fred Perry from our UK shores were to be successful in 20th century after that. Fred Perry won it on three consecutive occasions in 1934 to 1936, and then we Brits had to wait until Andy Murray’s success in 2013. For the Ladies, only Kitty McKane Godfree, Dorothy Round, Angela Mortimer, Ann Jones and Virginia Wade managed to win the Ladies’ Wimbledon Champions. Virginia Wade was the last Brit to succeed in 1977 (the Queen’s Silver Jubilee year). The tournament was first televised in 1937 and made history by being the first broadcast to be televised in colour in the UK. The rest is, as they say, history …..
Do you remember the famous ‘Tennis Girl’ poster from the Athena calendar in 1977 (modesty prevents me from reproducing it here)? The photo was taken by Martin Elliott of his then girlfriend, Fiona Butler, on a tennis court at Birmingham University. The dress was hand-made by Fiona’s friend, Carol Knotts (who also supplied the tennis racket). 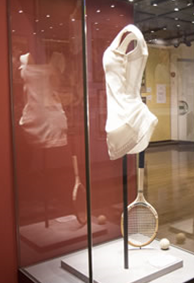 The dress and racket were auctioned at the 2014 Ladies Singles final and purchased by the Wimbledon Museum for £15,000 (estimated price was £1000-£2000!). It can be seen in the Museum in exactly the same position as seen on the poster (minus Fiona). 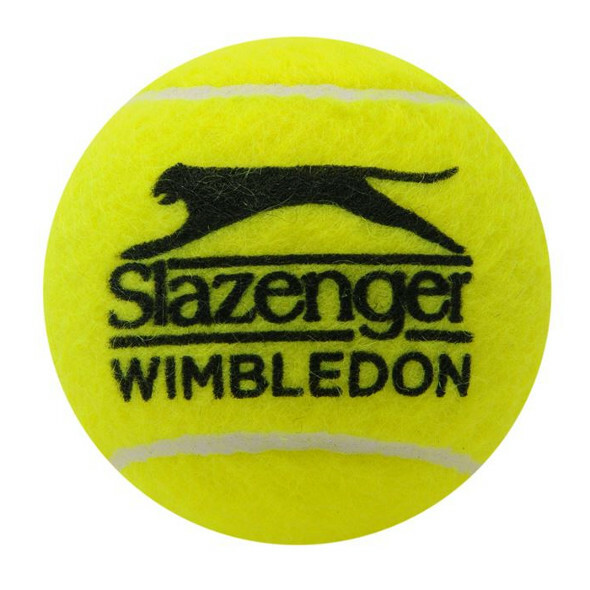 Did you know: 55,000 tennis balls are used during the Wimbledon Championships. There is not enough room to store them in the ball store-room under Centre Court so they are delivered in pressurized tubes in three batches over the fortnight. They have been produced by Slazenger since 1902 and were white until 1986 when they became yellow. They were originally made in Barnsley until the plant closed own in 2002. Now they are manufactured in Bataan in the Philippines. It is one of the longest unbroken sporting sponsorships in history. My dear friend Marmaduke Threadbeetle was a lawyer, and on his deathbed in his bedroom he called to his wife, Dorothea. He told her to run and get the bible as soon as possible. Being a religious woman, she thought this was a good idea. She ran and got it, prepared to read him his favourite verse or something of the sort. 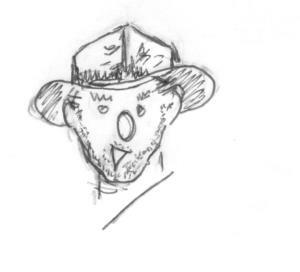 He snatched it from her and began quickly scanning pages, his eyes darting right and left.